Charter flight I Rent of jets I Aircraft for sale I Challenger 850. CHARTER | CHARTER FLIGHT | RENT OF JETS |AIRCRAFT FOR SALE - BOMBARDIER CHALLENGER 850. A heavy business jet, the Bombardier Challenger 850 does not fail its clients’ expectations. The impressive appearance of the Challenger 850, with a length of almost 27 meters, is able to easily perform charter flights of distances up to 5,206 kilometers with sixteen passengers on board. Only a few private jets, the rent of which is available from our company, is able to comfortably take such number of people on board, while providing the proper comfort for each of them. 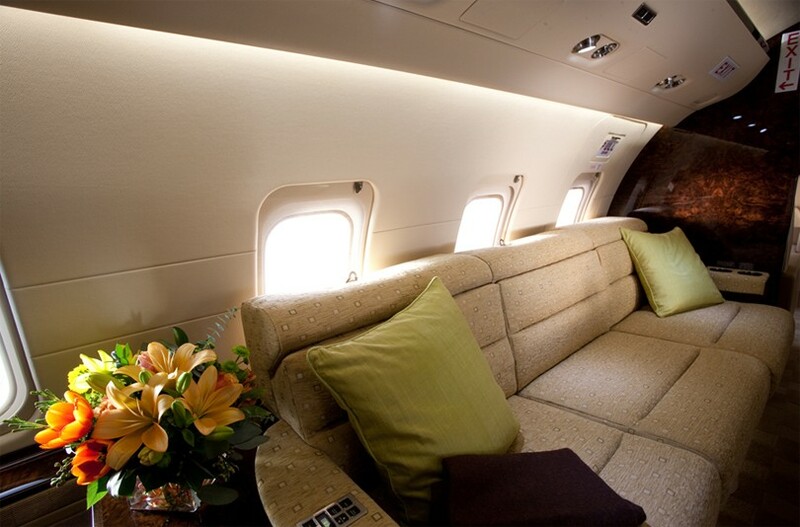 The Challenger 850 Cabin has a standard zoning: the first four seats facing each other are followed by the middle zone with two double sofas and an armchair, and then closer to the tail, it is separated from a larger room by a partition, with a sofa and two armchairs. Renting the Bombardier Challenger 850 jet is suitable for corporate charter flights, during which the passengers can arrange their documents and simply relax or conduct a business meeting. Each Bombardier Challenger 850 jet provides several options for interior modification, in order to properly meet the needs of its passengers. 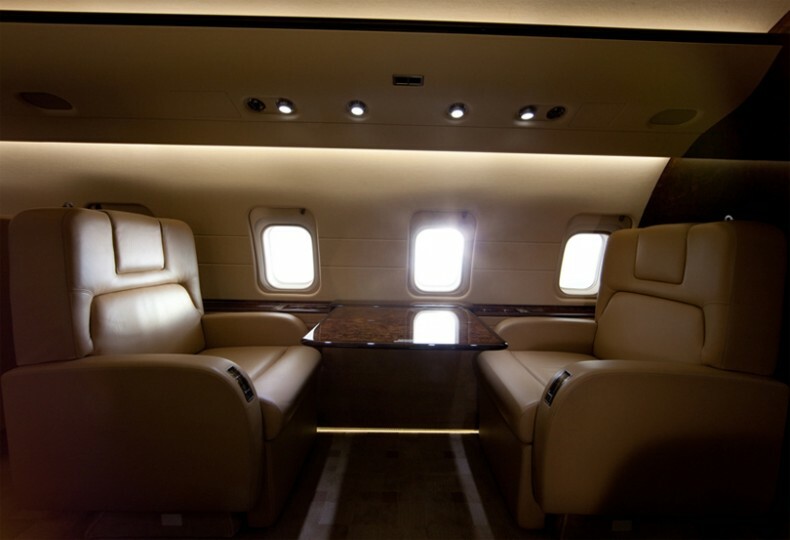 The VIP-conditions created in the Challenger 850 challenges the rest of the jets in business aviation. This heavy administrative jet provides passengers with the comfort of a spacious 12-meter cabin, with a width of nearly 2.5 meters and a height of 1.75 meters. The Challenger 850 jet embodies luxury and comfort of all the “Challengers”, which creates an amazing combination of easy maintenance and time-proven Bombardier reliability. Renting this jet is the right choice if you need to arrange a charter for fifteen to sixteen passengers to up to 4,600 kilometers. 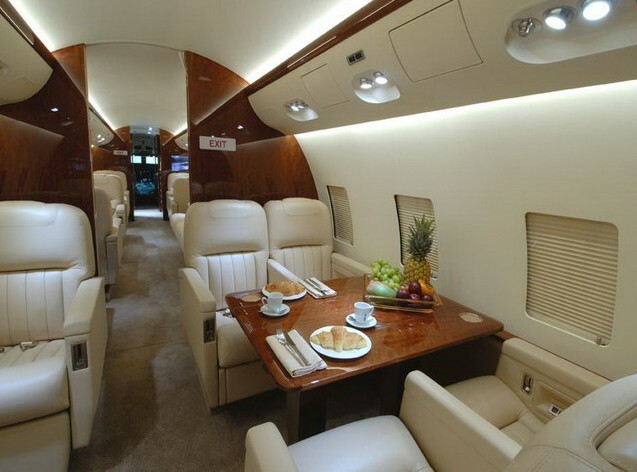 With only five people on board, the range of the Bombardier Challenger 850 jet will increase to 5,550 kilometers. Eight passengers can go 5,129 kilometers. The cruising speed ​​of the Challenger 850 jet is maintained at around 850 kilometers an hour, and the maximum speed is 870 kilometers an hour. This is provided by two General Electric CF34-3B1 turbojets. The engine power allows the Bombardier Challenger 850 charter to use runways of at least 1,922 meters and climb to a cruising speed of 12,497 kilometers. The high reliability and increased wing area of the new modification of the Bombardier Challenger 850, under the CRJ200LR prototype, allowed designers to ensure maximum passenger capacity and the most spacious cabin in the class of large regional jets.